New cup racer, powered by a 180 PS (132 kW / 178 bhp) unit, will have its own championship series. SEAT has introduced a new racer at the Wörthersee VAG meet a few years back. 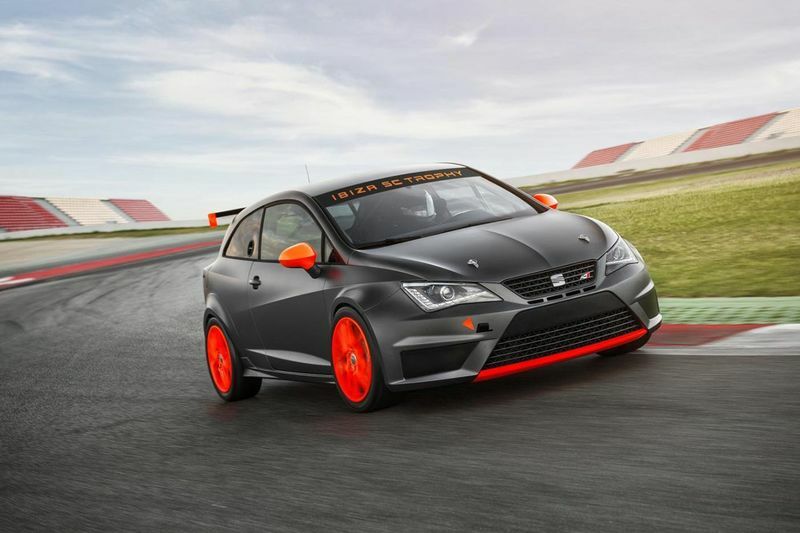 It is based on the Ibiza Cupra that will be homologated into a new race series. Personally, I am ecstatic about this idea. Volkswagen usually responds very well to their diehard fans like, in 2015, at the Wörthersee tour, the Golf GTI Roadster concept was revealed. You could also say the same for the limited edition Polo R WRC, which paid tribute to the World Rally Championship. The Ibiza SC Trophy (supercopa or super cup) will be used in a new single-brand championship starting next year in Italy and Spain, just as the Leon Supercopa is an opening race series in the DTM program. This time, though, the Spanish automaker is giving us a refreshed take of the sports hatch, complete with some new aesthetic modifications and a nice and subtle performance upgrade. The Ibiza SC Trophy comes with a 1.4 TSI unit producing 180 PS (132 kW / 178 bhp), same as in the Cupra model, coupled to a 7-speed DSG gearbox. The 1.4 TSI engine, together with the DQ200 7-speed DSG gearbox is exactly what you would find in the Volkswagen 6R Polo GTI's as well as the earlier version of the Audi S1. But the SC Trophy features some modifications for this new racing series which include a modified oil sump to combat the high lateral forces it must endure under racing conditions. Dimensions have also been changed as SEAT has lowered the car by 40 mm and extended the wheelbase of this cup racer by 13 mm. Its track has been widened too by 170 mm at the front and 29 mm at the rear axle. Weight is just over 1 metric tonne at 1,063 kg. Seat’s work on the Ibiza SC Trophy also includes stripping out the interior to fit in some racing equipment, including a full roll cage. The car also gets a modified oil sump, an improved braking system, and a set of 18-inch racing wheels that really add some sportiness and overall awesomeness for the Ibiza SC Trophy. It’s quite a treat seeing Seat have some race-spec cars like this, and the best part is, these cars are dirt cheap and will guarantee you a lot of fun driving. Video: New And Refreshed Bmw 1 Series 2017! !